AMMONNEWS - The United States is likely just weeks away from starting the withdrawal of ground troops from Syria ordered by President Donald Trump, the top US commander overseeing American forces in the Middle East said on Sunday. US Army General Joseph Votel, head of the US Central Command, cautioned that the exact timing would depend on the situation in Syria, where US-backed fighters have launched a final assault against ISIS enclaves near the Iraqi border. One big question has been whether some US forces in Syria might move to neighboring Iraq, where the US has more than 5,000 troops helping Baghdad fight ISIS and prevent the group’s resurgence. Votel said he did not believe the US would broadly increase overall troop numbers in Iraq. He did leave open the possibility of changing the composition of forces to help the US keep pressure on the extremist group. “This isn’t just wholesale -- ‘Everybody in Syria move over to Iraq.’ That doesn’t make sense,” Votel said. 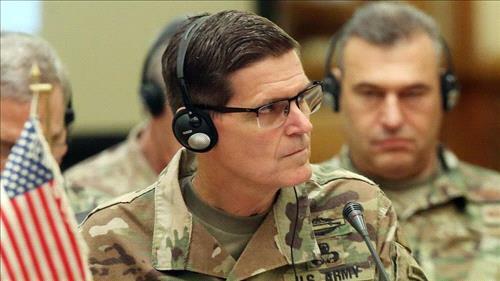 Votel is one of many current and former US officials who have warned of the risk of a resurgence by ISIS unless the US and its allies can keep pressure on the group following the US withdrawal. They say ISIS still has enough leaders, fighters, facilitators and financial resources to fuel a menacing insurgency. But a clear US plan on how to keep up the pressure has yet to be articulated. It is also unclear whether the US will be able to satisfy the security concerns in Syria of its NATO ally Turkey without sacrificing the interests of US-backed Kurdish fighters there. Washington views the Kurdish militia as loyal partners in the fight against ISIS, whose help will likely continue to be needed to prevent the group’s resurgence. The Pentagon’s own internal watchdog released a report last week warning about the risks still posed by ISIS. It cautioned that, absent sustained pressure, the group would likely resurge in Syria within six to 12 months and retake some limited territory. A UN report seen by Reuters last week estimated there are up to 18,000 ISIS fighters in Iraq and Syria, including up to 3,000 foreign fighters. It warned the group was interested in attacking aviation and using chemical, biological, radiological and nuclear materials.